← The Argentina Open ATP Buenos Aires is back in town! The Irish community of Buenos Aires will be celebrating St. Patrick’s day in advance this coming Sunday March 15th at Plaza San Martín. Starting 2pm you will be able to try typical products of Ireland. And at 6 pm you shouldn’t miss the traditional parade that will start from Arroyo and Suipacha st. and will finish at the Plaza San Martín. A “Leprechauns” and “Fairies” costume contest for adults and children will also take place as part of these popular celebrations. This is a free activity, that will be postponed to March 29th in case of rain. 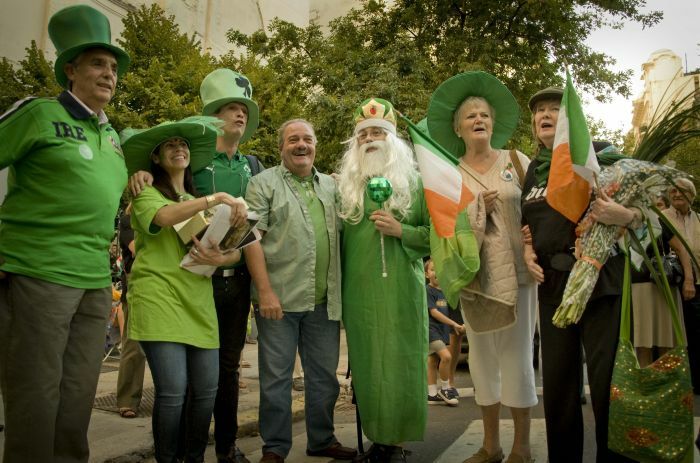 There will be more celebrations to come: Every March 17th, streets of downtown Buenos Aires get crowded of locals & tourists that look for a spot to celebrate St. Patrick’s day. This entry was posted in See and tagged Buenos Aires, st patricks day, St. Patrick's celebrations. Bookmark the permalink.